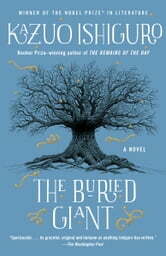 Really enjoyed The Buried Giant. 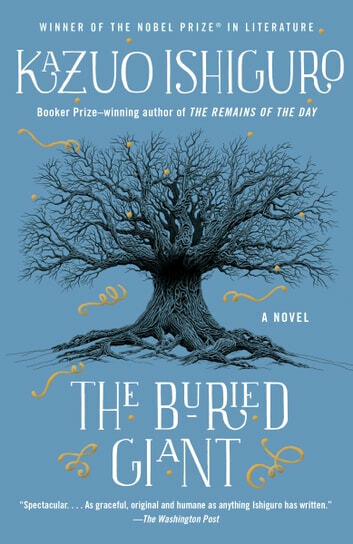 It seems that most interpret the 'Buried Giant' to be the history that has been forgotten, but I prefer to think of it as 'The Truth' generally, as everyone is more or less deceitful to everyone else continually. If you don't really know what is going on, what difference would remembering what you think of 'history' be? I really enjoyed the devotion between Axl and Beatrice. Weird, pale shade of Murakami. Oh, I have to write a minimum of 100 characters. Time Magazine's review made me read it. It wasnt until 50 % through that i started to get some interest. And it wasnt until the lat paragraphs that i felt anything. Very disappointing, I really enjoyed the other books of his that I read. Not much of a story. I kept expecting something important or insightful. But did not find anything. Ichiguro + Arthurian setting = a win for me. Don't expect non-stop action, though. If you enjoyed his other books, this is more of the same.